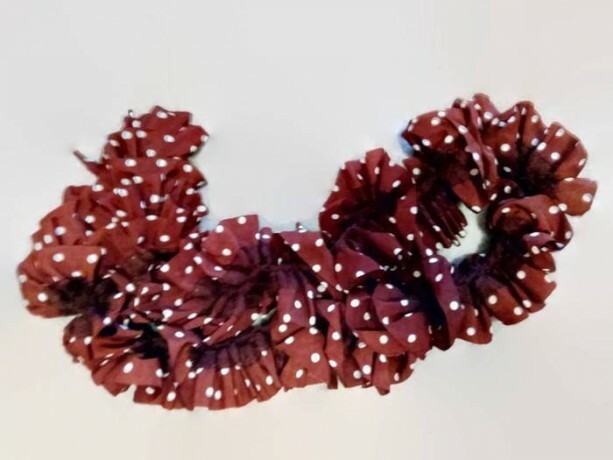 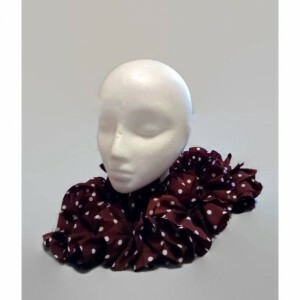 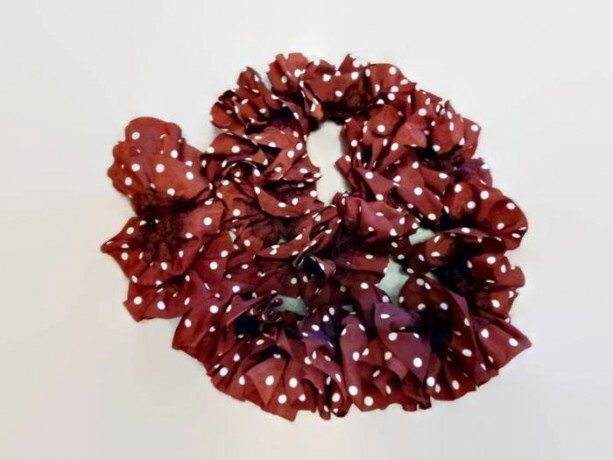 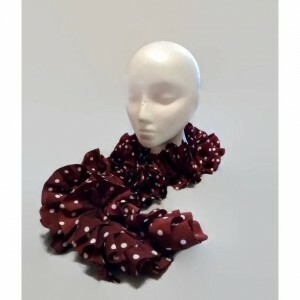 Fun ruffle brown polka dot scarf. 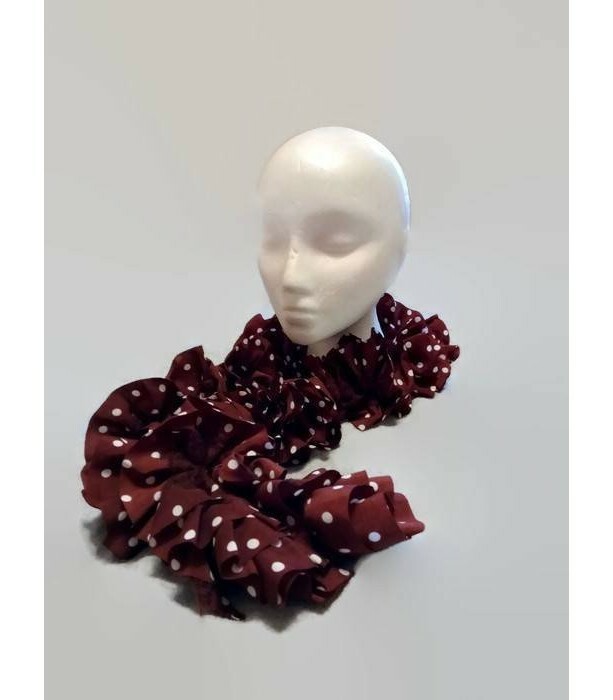 This scarf measures 5" wide X 59" long. 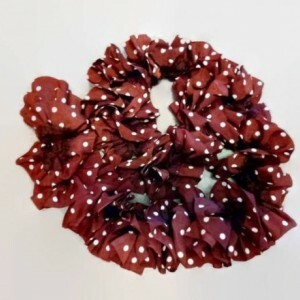 Can be for adults or kids. 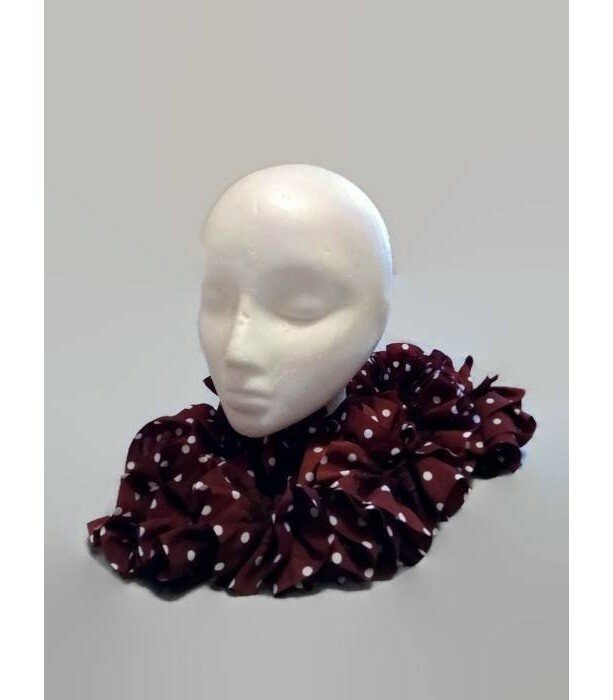 The scarf is made from fabric yarn. 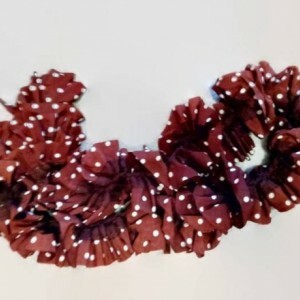 It can be machine washed, but I wouldn't suggest it.